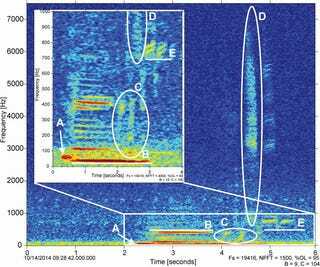 During exploratory missions to the Mariana Trench in 2014 and 2015, scientists recorded mysterious sounds they dubbed the “Western Pacific Biotwang.” New research has exposed the cause of these eerie noises from the deep. The recurring noises are a weird mixture of the biological and the mechanical, leading to confusion over the likely cause. The five-part sounds, which last no longer than 3.5 seconds, include deep moans at frequencies as low as 30 hertz and a strangely metallic finale that reaches frequencies as high as 8,000 hertz. The sounds also resemble “boings” made by baleen whales in the North Pacific, and low-frequency pulses made by baleen whales in the North Atlantic. The similarities between the Western Pacific Biotwang and these sounds suggests baleen whales are responsible for the unique call. All these whale calls tend to have a complex structure, a dramatic frequency sweep, and a metallic finish. Still, questions remain. Not an easy task given the elusive nature of these deep sea whales. 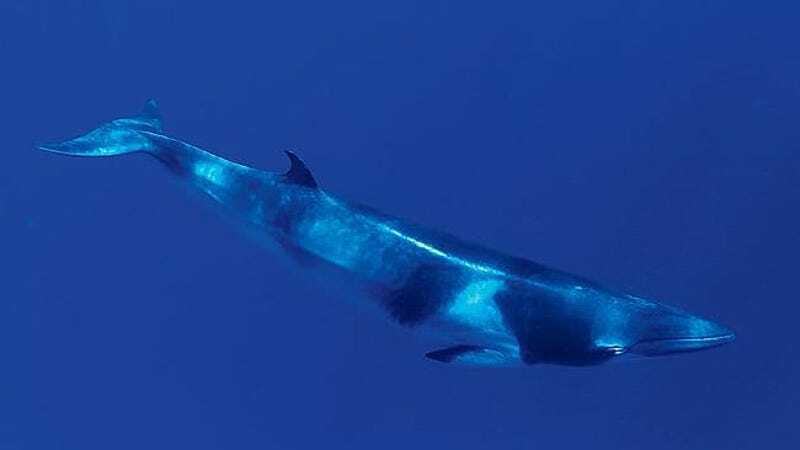 Minkes are the smallest of the baleen whales, and they don’t spend much time at the surface. They have a very inconspicuous blow, and they often swim in areas where high seas make sightings difficult. And more data is needed to confirm that minkes are actually making these noises.